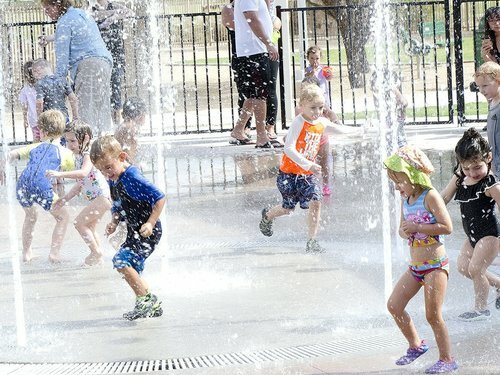 Marana Parks and Recreation invites you to Soak In Summer. Fun at the splash pad. There will be plenty to do this summer for the kids. We have a few new camps, including the Full Day Summer Sports Camps and Summer Cheer Camp that will last all summer long, plus Teen Extreme Day Camps and Challenger International Soccer Camps. Several old favorites also return, including our Create with a Beat/Art Day Camps, basketball, flag football, volleyball, and Speed & Agility clinics, summer horse camps, and both tennis and golf lessons. There are a number of exciting programs for adults as well including pickleball, open gyms, a men’s basketball league, the “Dance Fit Fun” Fitness Class, Teen Paint Night in the Park, and we close out the summer with the 80’s Doggy Paddle Pool Party at the Marana Pool. Our goal is to have programs for everyone in Marana. We have programs for our youngest residents with Tots & Me Story art, Pee Wee Sports Camp, and swim lessons. For active adults adult sports leagues, a variety of races on both land and water, fitness classes, walking clubs, and open gym. For the more creative we offer the Marana Community Music Theater, Paint Nights in the Park, and make and take garden classes. Our senior center offers a variety of great programs for only the cost of a Senior membership. These programs include fitness classes, dance classes, table games, and crafting. 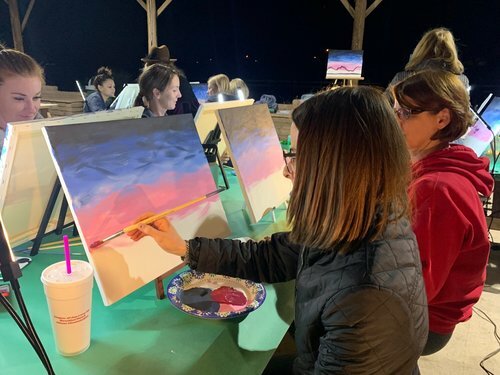 Paint Night at the Park. This past year have expanded our programming to include children with special needs, which is why our Sensory Splash programs return to the Marana Pool and Gladden Farms Splash Pad. If events are your thing, I invite you to come out to one of the free concerts or movies we offer, enjoy the fireworks at the Star Spangled Spectacular, or just indulge in the benefits of being outdoors in one of Marana’s parks, splash pads, or trails.